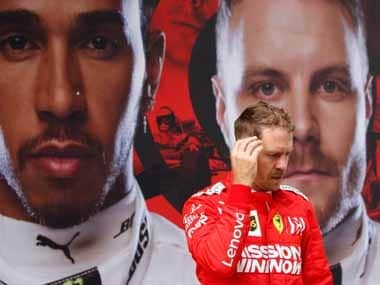 Singapore: Sebastian Vettel heads into Sunday's Singapore Grand Prix brimming with confidence after a blistering run in qualifying while championship leader Lewis Hamilton is praying for a "miracle". Vettel's chances of a fifth win under Singapore's floodlights rose inexorably when he pulled out a stunning lap of 1min 39.491sec to seize pole ahead of Red Bull teenager Max Verstappen, with Hamilton down in fifth. 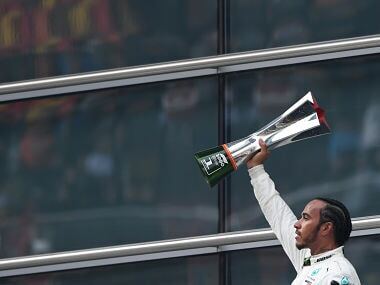 It gives the Ferrari driver a gilt-edged chance to reclaim the world championship lead from Hamilton, who edged three points ahead by winning this month's Italian Grand Prix. Seven of the nine editions of the night race have been won from pole position, and Vettel is the master of the Marina Bay street circuit after his wins in 2011, 2012, 2013 and 2015. "We have a long race and a lot of things can happen. Certainly grid position is king or crucial, but still, it's a long race," said the German. "I'm confident. For the others? Max is next to me, so, first of all, I guess I'm racing him and then Daniel (Ricciardo) and so on and so forth. So not too bothered where other people are." 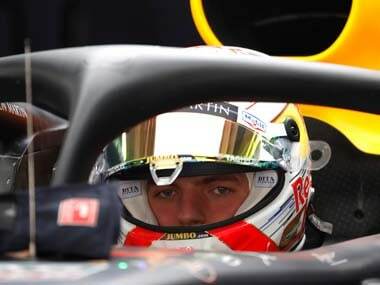 The Red Bulls of Verstappen and Daniel Ricciardo, who was third quickest, look the most likely to upset Vettel's plans, but it could be a long night for Hamilton on the tight, corner-heavy circuit where overtaking is notoriously tough. "Fifth place is definitely not good compared to first," said the Mercedes driver. "I am going to have to figure out how to pull a miracle out of somewhere." Hamilton added: "I got everything I could out of the car. I am happy with my performance, I am just frustrated we weren't able to be quicker and compete with the Ferraris. "That's a seriously healthy gap. It's strange how it goes from one track to another. 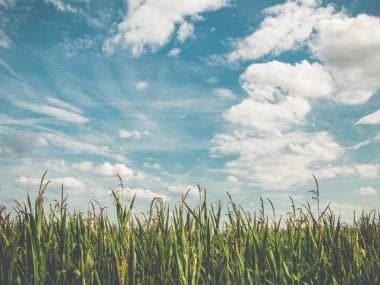 Hopefully, the next races are more in our direction." The Singapore race, which starts at 1200 GMT, falls at a key moment of the season, which is now into its final third and heading into two more Asian legs in Malaysia and Japan. The teams then travel to the Americas for races in the United States, Mexico and Brazil, before the season finale in Abu Dhabi at the end of November. 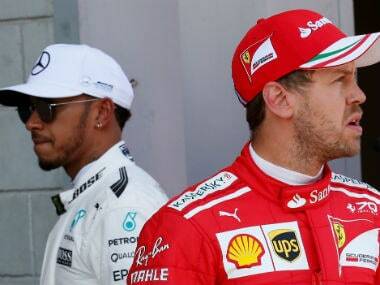 Vettel's Ferrari team-mate Kimi Raikkonen is fourth on the grid while Hamilton is on the third row beside his Mercedes team-mate Valtteri Bottas. 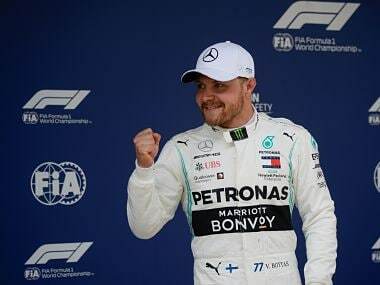 The Finn also struggled in qualifying and he said reaching the podium would be a significant achievement for the Mercedes. "Definitely, the gaps are too big for us," Bottas said after qualifying. "From two weeks ago at Monza, it was pretty good for us, and now we're really struggling. "We know the car is not quick enough for the podium — that's a fact. We need to get all the other areas right and maybe it's possible."